Participants in our summer camps learn through investigation and experimentation with their surroundings. Young scientists gain skills to jump start their interest and careers in science. Topics vary; click below to learn more! Welcome to A Time For Science! Explore nature, do science, and have fun! Through our exhibits, programs, and field experiences, we provide visitors with opportunities to get up close and personal with science and nature. Explore the wonders of the universe, investigate the tools used to study and understand it and take a close look at objects that have been in space. 729 Dickinson Avenue • Greenville, NC • (252) 364-2862 Our science learning center and museum located in the heart of Greenville offers exhibits, science camps, and public programs to ignite Eastern North Carolina’s interest in science, technology, engineering, arts, and mathematics (STEAM) in an educational and fun way! 949 Contentnea Lane • Grifton, NC • (252) 364-2862 Our Grifton location features 400 acres land in southern Pitt County and offers hiking, camping, and kayaking adventures. 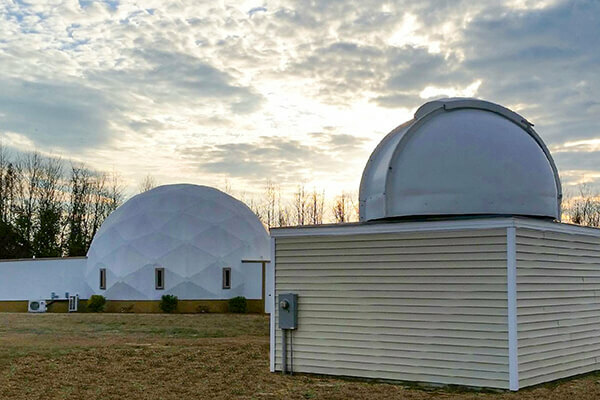 The Grifton Nature & Science Center is also home to the Chia-Yu Li Planetarium and the Kitty and Max Joyner Observatory. 06apr10:00 am11:00 amKids' Space DayEach month we explore a new and fascinating topic in astronomy. Carolina Skies Astronomy Club (CSAC) invites you to attend their monthly meeting. Connect with others in our community who are passionate and curious about the night sky. If you are interested in astronomy but have not purchased a telescope, this is an excellent time to try different types of telescopes and view some interesting objects at the same time! 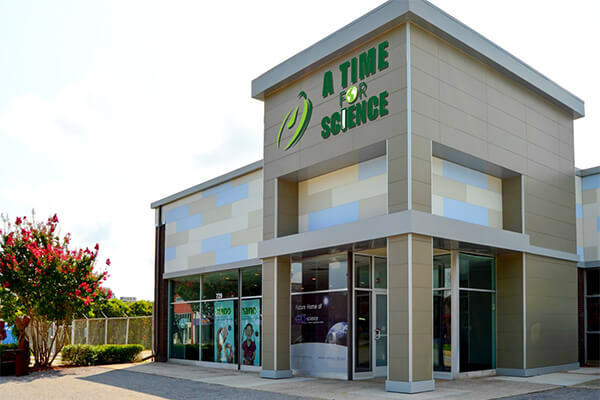 For more information call 252-364-6569 or email brian@atimeforscience.org. S.A.G.E. (Serious About Girls’ Empowerment) Sisters is a program designed for middle school girls to be informed, safe, and confident in the wilderness. Lessons are taught by specialists on topics such as fire-building, self-defense, and robotics. The program culminates in an overnight backpacking trip where the girls use the skills they’ve been learning. Second and third year participants take on the role of mentor as they continue the program. This is free and open to the public. A shuttle is provided from Grifton School and Ayden Middle. Bring your family for a fun-filled day of games! Learn about how you can find happiness through living a healthful lifestyle. Prizes included! Scan the QR code for more information! Bring your family for a fun-filled day of games! Learn about how you can find happiness through living a healthful lifestyle. Prizes included! Scan the QR code for more information! This event is free and open to the public. Hosted in partnership with students from ECU’s Honors College. Celebrate the night sky with the rest of our great state during the NC Science Festival’s Statewide Star Party! Join A Time for Science, NC LOW, The Tarr River Astronomy Club, and The Carolina Skies Astronomy Club for a FREE, night of fun and discovery. This event will feature interactive planetarium shows led by astronomer Brian Baker. The party begins at 7:00 PM with planetarium shows and hands on activities. Stargazing and telescope observing kick off at 8:00 PM. This event is funded by North Carolina Sea Grant and North Carolina Space Grant. Spring into Science during our Spring Break Camp! We offer a science and nature-based day camp during Pitt County Schools Spring Break. Students will hike the trails, learn how to kayak, enjoy picnic lunches and team-building games all while learning about science through investigatory studies of the world around them. Campers will get a taste of all of the topics covered during our various summer camps. Programs are designed for 1st-5th graders. The cost is $150/camper and a shuttle is available from our Greenville location for an additional fee $25/camper. Drop off begins at 7:30 and Pick-up goes until 5:30. Camp programming runs from 8-4.